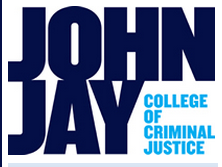 The Center on Race, Crime, and Justice at John Jay College is hosting an event marking the publication of the Vera Center on Youth Justice’s report, Coming of Age with Stop and Frisk: Experiences, Self-Perceptions, and Public Safety Implications. 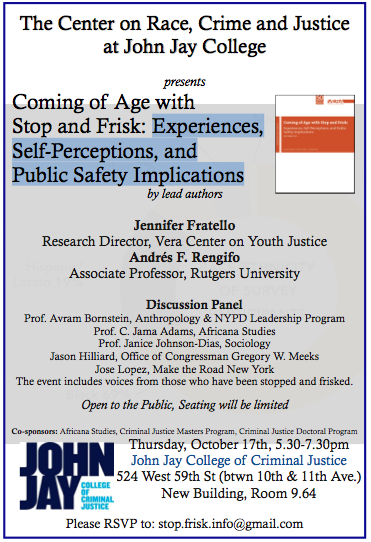 Co-authors Jennifer Fratello and Andrés Renfigo will be speaking on their report, followed by a panel discussion, and a Q&A from the floor. The event includes voices from those who have been stopped and frisked.